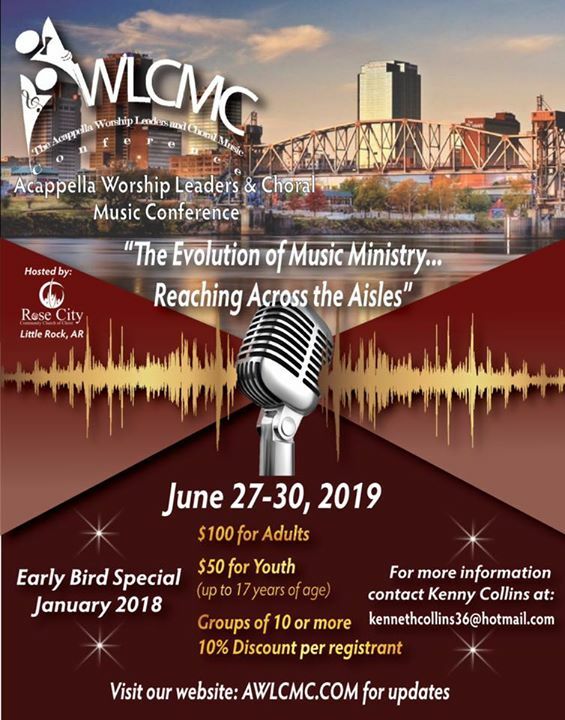 Start planning now to be a part of the 2019 Acappella Worship Leaders & Choral Music Conference. 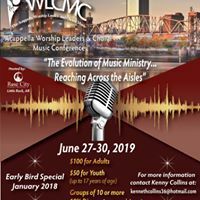 This conference is designed for all singers (Youth & Adults) who are instrumental in their congregation's music ministry or are interested in learning how to successfully elevate the music ministry to the next level in the Lord! You will be refreshed, revived, and renewed through the various workshops, round table discussions, fellowship and fun! Join us in 2019, June 27-30, 2019. Once again, the Rose City Community Church of Christ will be our host church! Please make plans to be with us!